UPDATE - 10/8@3:08PM: Here's another Geddy interview from Brasil's TV Cultura and you can check it out here (thanks RushFanForever). Are you traveling with cameras now? Could there be a tour documentary? We're going to film certain aspects of the tour, and we have recorded some shows. Perhaps after that to a DVD. We record every night. We don't film every night but we have a lot of cameras around. So invariably by the time this show [Geddy may have meant to say this tour] is finished we'll put together some sort of live representation of it. What form that will take I'm not sure yet. The new album is still in production. We've recorded 2 songs so far. One of them called Caravan and the other one called Brought up to Believe [BU2B]. That's the beginning 2 songs of a whole kind of a concept album called Clockwork Angels. We have four other songs - five songs written but not recorded yet. And we still have a couple more songs that we want to write and then put the whole thing together. So I don't think the album will be ready for about a year. On Friday, Rush kick off the last leg of their Time Machine tour with a handful of dates in South America. After spending four months on the road, the guys will no doubt be taking some time off following their final gig on October 17th. No word yet on what they might do during that downtime, but perhaps singer Geddy Lee will work on new solo music. He filled us in on the prospect of doing another solo album. Whereas it's nice to hear that Geddy hasn't ruled out doing a solo album at some point, the way the journalist somehow ties this to the band's plans after the tour is a bit misleading. From every report or interview I'm hearing, the band's first priority after the tour will be finishing off their Clockwork Angels album. I don't see Geddy working on any solo album for at least a couple of years. Rush: 2112 and Moving Pictures is extremely easy to recommend. It contains a wealth of valuable information about the legendary Canadian rockers and their maturation as a band, as well as a good dose of terrific archival footage. As it is the case with just about every single Eagle Rock Entertainment Blu-ray release, the quality of the presentation is once again fantastic. The disc is also Region-Free and its content subtitled in a variety of different languages. HIGHLY RECOMMENDED. UW: Do you still listen to bands that you did when you were younger and do those bands still influence you? CB: Yes, one hundred percent. I still get inspiration from that. As a matter of fact, the other night we got a copy of this Rush Classic Albums Moving Pictures documentary. I just watched it and got totally inspired again. Last Wednesday all three members of Rush were interviewed prior to their show in Atlanta by John Roberts of CNN's American Morning for a segment that aired on the following morning's episode. The broadcast version of the interview had been posted online last Thursday, but then over the weekend the complete, unedited, 25-minute interview was put online as well. The interview is definitely one of the most personal Rush interviews in recent years. Among the many subjects touched upon, Roberts asks the guys directly regarding the band's long hiatus in the late 90's in the wake of Neil Peart's personal tragedies. Neil gets noticeably emotional, as do Alex and Geddy. You can watch the interview in this post or at this link. There were also a couple of short Neil Peart interviews this past week, neither of which were directly focused on Rush but both were interesting reads. Back in February of 2009 Neil Peart had reviewed the Man Talking series by Mike Heppner as part of his Bubba's Book Club Recommended Reading. Heppner recently interviewed Neil along with a few other authors for an article on his website titled Excerpts from Mike Heppner's Man Talking Project. The article gives some background on the history of the project along with a video and then Heppner poses a series of questions to all of the participants. You can check out Neil's responses in this post and read the entire interview at this link. And just yesterday the UK's Guardian newspaper ran a piece in their Music section in celebration of National Poetry Day where they asked several musicians to pick their favorite poet. Neil Peart was one of the participating artists and spoke a bit about his favorite poet Samuel Taylor Coleridge, whose poem Kubla Khan was the inspiration for Rush's Xanadu. You can check out what Neil had to say in this post. Speaking of our favorite drummer, we learned earlier this week that Neil Peart's NHL Hockey Kit is now on display at the Hockey Hall of Fame in Toronto just as TSN had announced this past July. 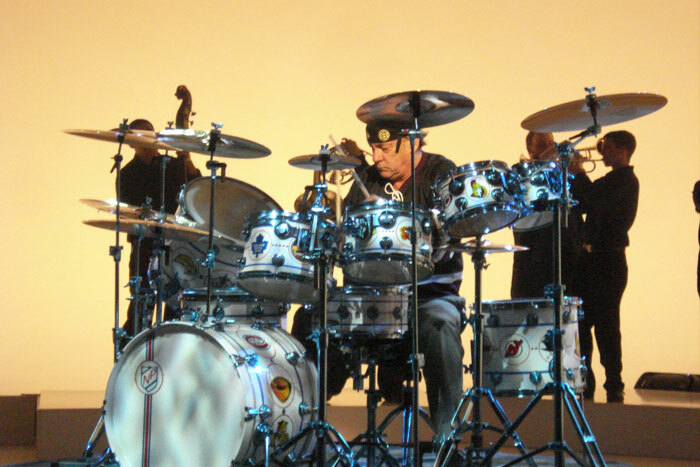 Neil Peart used the kit to record his percussive-centric version of The Hockey Theme late last year. Neil's recording of the song debuted back in January during a Philadelphia Flyers at Toronto Maple Leafs game on The Sports Network (TSN). There's also a one-minute video for the song which features Neil pounding away on the custom kit along with hockey video highlights interspersed throughout. You can check out the video on YouTube and purchase the song on iTunes at this link. Neil Peart wrote extensively regarding his experience recording the song in a news update at NeilPeart.net and there's also this making of video which you can watch at the Drum Channel's YouTube page. A Rush backstage rider from 1990 was recently posted over at The Smoking Gun website. You can check out all the details in this post. German metal magazine Rock Hard has a cover story on Rush this month which includes an interview with Geddy Lee, reviews of the Quebec City show and the Rush documentary, and a survey of German artists on Rush. The issue also contains a bonus Moving Pictures cover poster. Thanks to Hans for the heads up. 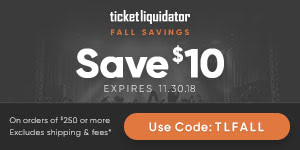 Reader JonXKyl pointed out that it's Fender Month at Musicians Friend and the online retailer has a bunch of great deals on Fender guitars including the Geddy Lee signature Jazz Bass. You can check out all the details at this link. Reader Paul D pointed out an obscure Rush reference at movie site Ain't It Cool News. 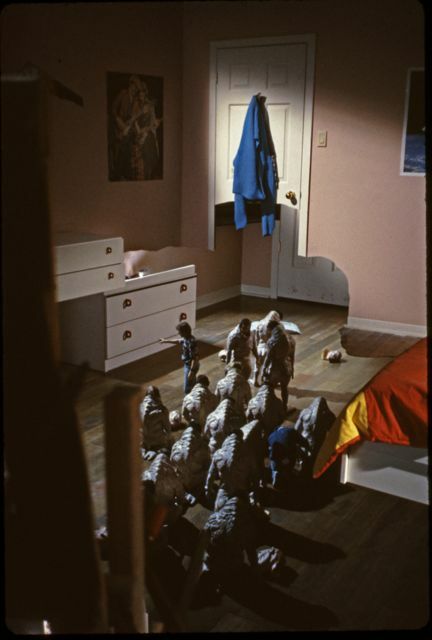 For their Behind the Scenes Pic of the Day this past Monday they featured a screenshot from the 1987 cult horror film The Gate. The shot shows a poster of Geddy and Alex up on the wall in the background. RJM Music Technology recently posted an interview with Alex's guitar tech Scott Appleton to their website. They talk with Scott backstage before a show and get a tour of Alex's setup. You can check out the interview at this link. Thanks to Jeremy for the heads up. I'm sad to report that longtime RIAB member and contributor Gary Ortiz (aka glortiz) passed away this past Sunday from cancer. Gary fought right up to the end, even insisting on going to the Rush show in Bristow a few weeks ago. And although he made it to Maryland, Gary unfortunately became too ill to attend the show and was admitted into Bethesda Naval Hospital, spending two weeks there. He was transported back to Wright-Patterson AFB Medical Center last Friday night via ambulance, went home Saturday morning and passed away early Sunday morning. While in Maryland Gary's wife Helen (zitro) and daughter stayed at Fisher House in Maryland and were very well cared for. Fisher House is a place where military families can stay while loved ones are being treated at a military hospital. If anyone would like to make a donation to Fisher House in Gary's name, Helen and her family would greatly appreciate it. Just go to their website at this link and place a donation In memory of Gary Ortiz or In Honor of Gary Ortiz. Gary's obituary can be seen online at this link. Besides being a huge Rush fan, Gary was just a great human being and will be sorely missed. I hope everyone has a wonderful weekend and listens to plenty of Rush. 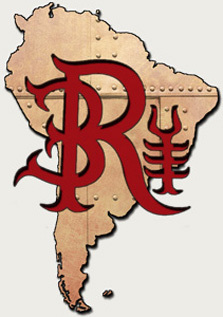 Rush em Brasil! !